How Did David Headley Outwit the DEA? When the Chicago terror case against Daood Gilani, aka David Coleman Headley and Tawawwur Hussein Rana first came to light, the most striking fact was that Headley had two prior heroin convictions and bargained his way out of heavy time for both by cooperating for the DEA. After 13 years of on and off again cooperation, he wasn't a newbie at the cooperation game, and he was well known to his handlers. Yet the DEA dropped the ball on Headley big time. And no heads have rolled. In 1988 Gilani/Headley was busted at the airport in Frankfurt, Germany, when a customs officer asked to check his belongings. Finding 2 kilos of heroin inside, he called for a D.E.A. agent stationed nearby and who arrived at the scene? Derek Maltz. Maltz, who has since been promoted to head of DEA Special Operations, is 48 now. (He still crows after every big bust, but he's been focused more on Mexico and South America lately, it seems. Here's a You Tube video of him a few months ago, pleased as punch with his new perps. Or read this description of one of his many talks. For the past year, I've been writing about the sweetheart deal back in 1998 the DEA and DOJ gave David Headley, aka Daood Gilani, who this year pleaded guilty in federal court in Chicago to his involvement in the Mumbai terror attacks. (McClatchy has as well.) It's good to see more of the mainstream media now following this aspect of the story. Three weeks ago Pro Publica and the Washington Post obtained some new details, mostly about an ex-wife of Headley's who had reported in 2005 after their break-up that Headley had terrorist leanings. Pro Publica has a lengthy investigative article on admitted Mumbai bombing complicitor and former DEA informant Daood Gilani, aka David Coleman Headley. David Coleman Headley, aka Daood Gilani, pleaded guilty today in a Chicago federal court to all 12 counts of the Indictment against him. He admitted conducting surveillance for the 2008 Mumbai attacks and plotting to attack a Danish newspaper, and providing material assistance to a terror organization, Lashkar e Tayyiba. Six Americans were killed in the Mumbai attacks. Headley's benefit? The death penalty is off the table. He now faces up to life imprisonment, but could get less. According to U.S. Attorney Patrick Fitzgerald's press release, Headley won't be sentenced until his cooperation is complete, and the Government expects to seek a reduction from the guidelines for his cooperation. 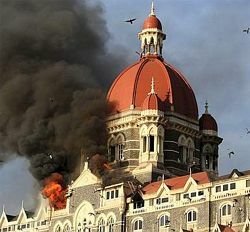 Headley pleaded guilty to conspiracy to bomb public places in India; conspiracy to murder and maim persons in India; six counts of aiding and abetting the murder of U.S. citizens in India; conspiracy to provide material support to terrorism in India; conspiracy to murder and maim persons in Denmark; conspiracy to provide material support to terrorism in Denmark; and conspiracy to provide material support to Lashkar. Daood Gilani, aka David Coleman Headley, charged in Chicago with assisting in the Mumbai attacks and in plotting an attack on the Danish newspaper that published cartoons critical of the Prophet Mohammed, will plead guilty on Thursday. He's been cooperating. The plea details aren't available. Will he get less than a life sentence when 8 Americans were killed in the Mumbai attacks? Stay tuned. Our prior coverage of Headley, including his days as a DEA informant and his potential double agent status, is assembled here. Denmark has information on David Coleman Headley, aka Daood Gilani, the American born man with dual Pakistani-U.S. citizenship. accused in Chicago of plotting both the Mumbai attacks in 2008 and the planned attack on a Danish newspaper. Since Headley is cooperating with the U.S., it's unlikely the U.S. will seek the death penalty against him. They ought to announce that now, so that they can get whatever evidence Denmark has to offer. A federal magistrate judge in Chicago yesterday denied bail for Tahawwur Hussain Rana, co-defendant of David Headley, aka Daood Gilani. Rana is charged with providing material support to terrorists via a planned attack on a Danish newspaper that published cartoons of the Prophet Muhammad.